V-MODA started off as a brand that wanted to marry fashionable design with formidable build quality and audiophile grade music. Val Kolton – the V in V-MODA – was sketching designs in LA when he found that the worst part of a lady dressed in the latest haute couture passing him by was the cheap and unfashionable iPod earphones that she was using. Not only were they cheap looking, they also produced terrible sound. He set out to change all that and thus V-MODA was born. It is not surprising then, that when you marry form with function something gorgeous is born – and the V-MODA Crossfade LP2 Limited edition headphones are anything but gorgeous. These are one of the best over ear headphones available to buy, and they also look fantastic. 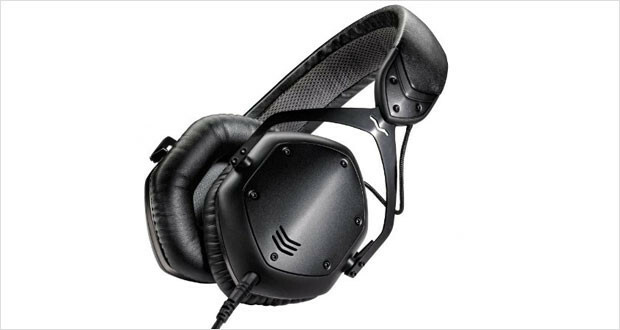 The sound is excellent and it is also one of the best noise isolating headphones around. The highs are brilliant and not screechy, while the midrange frequencies are separated from the highs by a completely different driver and are thus independent and enveloping. The bass is where this behemoth shines, with deep, rumbling lows and a wide definition. These are DJ headphones out and out – except they are a little heavy and the ear cups do not swivel like other DJ headphones. Built like a tank, the V-MODA Crossfade LP2 Limited Edition headphones kit comes with extra shields for the earpads and a virtually indestructible headband. Edgy and metallic, the entire hexagonal arrangement of the earpad shields makes these one of the most elegantly futuristic pair of headphones. Dimensions7.1 x 4.4 x 9.4"
Built like a tank – these are the headphones of a DJ who likes scratching during an epic fight between the Transformers and the Decepticons. The external ear cup shields are also made of metal and are infinitely customizable, thanks to the V-MODA website. While initially the headband might be tight, it loses the tightness over time. The weight might be a little uncomfortable for some. Well rounded treble response allows for great listening of classical music. The midrange frequencies envelop you well and produce mellifluous music. The bass is amplified and has quite a bit of depth – these are ideal for DJs or listeners who like music produced by DJs. The snug fit of the LP2s allow for glorious reduction in noise. The performance of the LP2s was quite exquisite, bordering on being fabulously amazing. The V-MODA Crossfade LP2 Limited Edition headphones are one of the best made and best sounding headphones around. Sure they are heavy, and sure the ear cups do not swivel, but that is no excuse for not buying this if you want great looks and excellent sound reproduction. 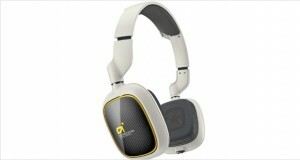 If you like electronic music and futuristic looks these are the best headphones around for you.